Picturing Disney: Free Printable Disney World Photo Scavenger Hunt!! 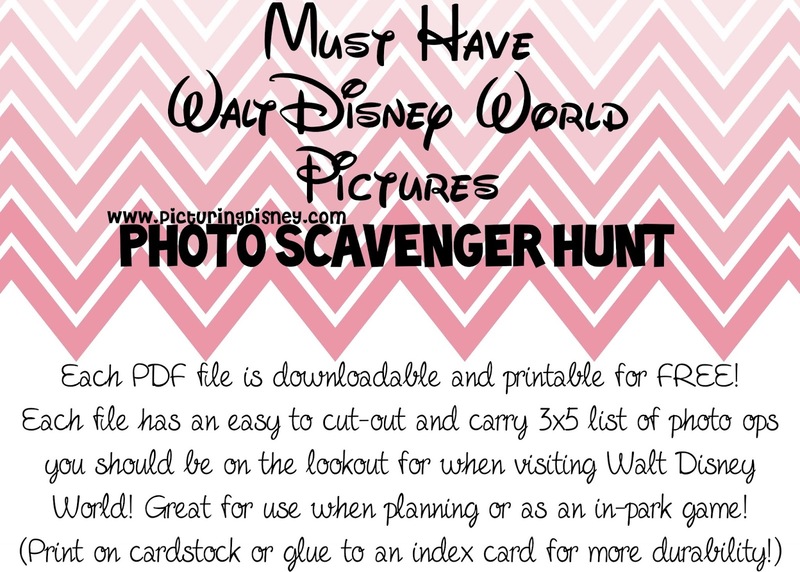 Free Printable Disney World Photo Scavenger Hunt!! As always, I like to give credit where credit is due, when I first started searching the internet to see if someone else had developed this sort of list I stumbled on a few more generic "pictures everyone should take on the their Disney trips" lists and even a few printables. The one over on Travel Hyper linked to some free pattern pieces on the blog Sprik Space which I used for the adorable chevron backgrounds. And I found the fonts, as always on the free font site Da Font. I love that you've done this! !